Yu-Gi-Oh! 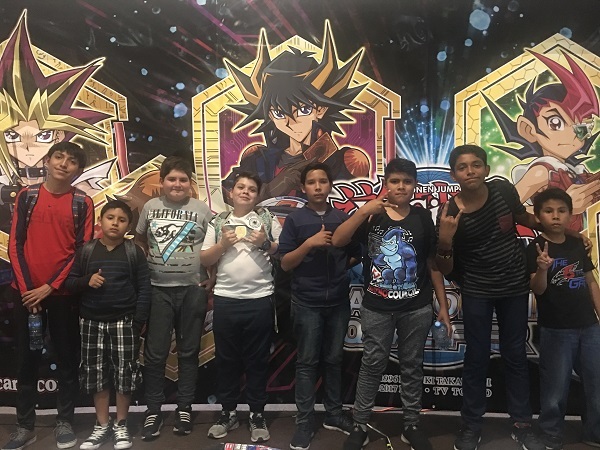 TCG Event Coverage » 2018 Central America Dragon Duel WCQ: Top 8 Duelists! Home > 2018 Central America WCQ	> 2018 Central America Dragon Duel WCQ: Top 8 Duelists! The Swiss Rounds of the 2018 Central America Dragon Duel World Championship Qualifier are complete, and we’re down to just 8 Duelists! These 8 young Duelists are piloting 8 completely different Decks! Check out which Duelists and Decks made it to the Top Cut of Dragon Duels! These Duelists will be back tomorrow to vie for first place and the honor of competing in this year’s Dragon Duel World Championship!